True, we swore off airbnb last December after our horrific experience in Norway. But then, airbnb reached out to us personally and made good on the situation by offering us nearly a full refund back to our original form of payment. It still took us 8 months to forgive them, and we learned to be much more scrupulous in choosing a rental. 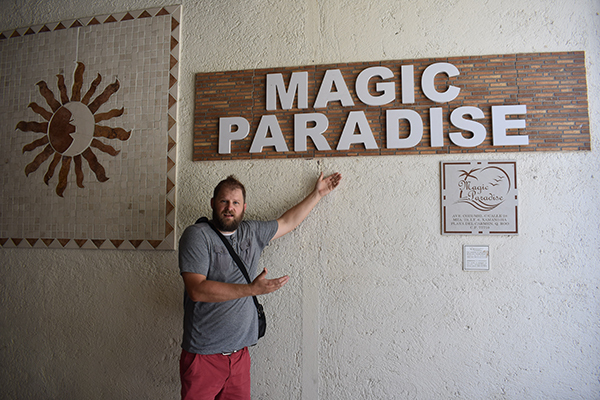 This paid off in dividends during our trip to Playa del Carmen! 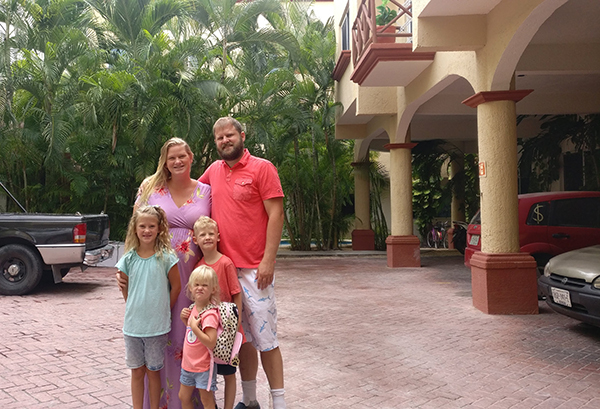 We stayed in a fabulous airbnb in Playa del Carmen one block from the beach and one block from 5th Avenue with personalized touches, free parking, and a swimming pool at a great price! Aside from what you can see in the video tour above, this airbnb had all the comforts of home. The rooms were huge, with large comfortable beds. There were ceiling fans in each room and individual air conditioners that let you set the temperature for each room as well. The kitchen was fully stocked, and the host even provided unique Mexican treats for us to enjoy when we arrived. This airbnb in Playa del Carmen even stocked the fridge with cold drinks, and we discovered our new favorite soda, Peñafiel! Three bathrooms ensure privacy, room to get ready for the day, and total convenience. There is a washer and dryer. There are extra towels. As nice as the home was, it was really the location that couldn’t be beat. A five minute walk led us to numerous shops, restaurants, stores, vendors, ice cream, treats and everything we could want. 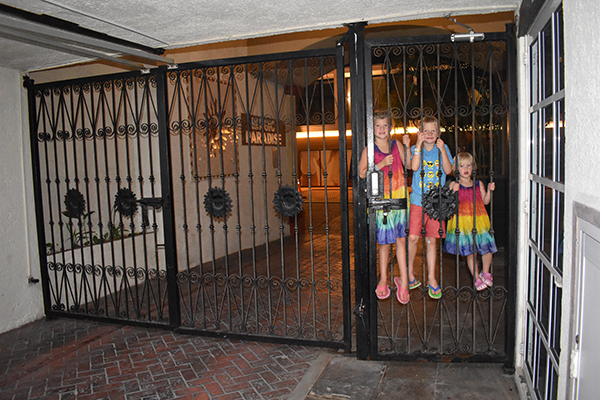 We found several fabulous restaurants, we could walk to the beach, and we were in a locked complex that ensured safety. 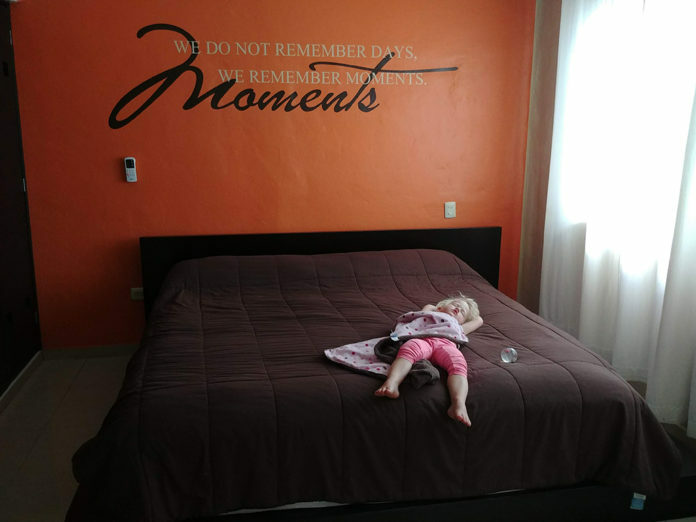 ► For Kids: This is a great airbnb in Playa del Carmen with an extra bedroom with a large king bed, and two futons in the front room that fold out for extra sleeping areas. Onsite is a beautiful clear pool with both shallow and deep ends, and the balcony of this particular airbnb overlooked the pool – perfect for early risers eager to get wet. 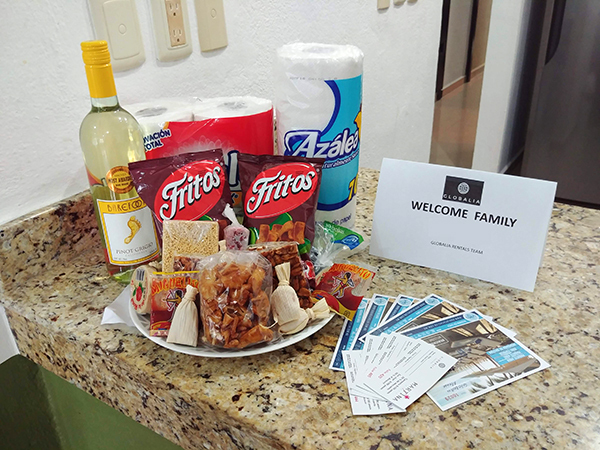 We definitely recommend this airbnb in Playa del Carmen with it’s personalized touches and attention to detail. There was an onsite manager who met us upon arrival and check out, and was available throughout the day to answer any question, and provide any recommendations we were seeking. They even provided free coupons to access the local hotel private beach! ► Nap-Time Version: Our recommended airbnb in Playa del Carmen. A perfect location with everything you could ask for! Check out our favorite and not so favorite places to Eat in Playa del Carmen, plus our review of Alma’s LDS Tours who took us to Ek Balam, Chichen Itza and Ik Kil!